Basic research has played and continues to play a central role in the evolution of the energy sector. Historically, fundamental science has driven the development of new innovative technologies that have enabled disruptive changes in industries, economies and societies. In order to achieve the goal of global transition to sustainable and low-carbon energy, we need new scientific advances, which will solve existent technological barriers in producing, storing and using clean energy. In this context I would like to present four recent scientific breakthroughs, which can have large and disruptive impact on today’s greatest energy challenges. 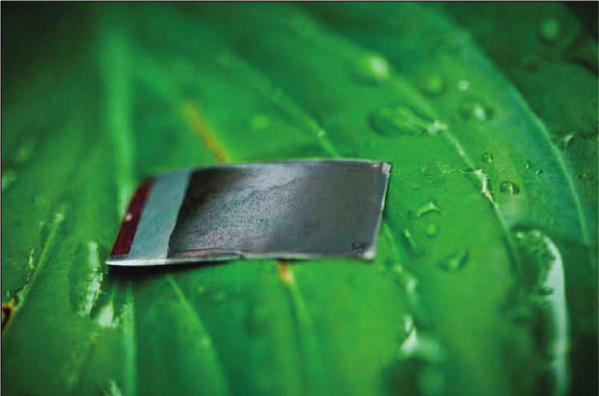 In May 2012 a detailed design of the first practical artificial leaf was released by a group of scientists from MIT. Researchers have developed a new device that can convert energy from sunlight into electrical energy or fuel, imitating the photosynthetic process of plants. The “artificial photosynthesis” could be described more precisely as solar-powered electrolysis of water. The leaf is a silicon cell that uses energy from the Sun to electrochemically split water into hydrogen and oxygen. The hydrogen is then collected and can be either used as a fuel or stored in a fuel cell. Scientists are hoping that this technology could provide cheap and efficient energy, first of all to developing countries. Today, over 1.3 billion people are living without access to electricity and 2.6 billion people are without clean cooking facilities. With a single leaf, a bottle of water and sunlight, people could have enough electricity to power a small house 24 hours a day. Moreover, hydrogen is an important fuel in itself, which has the potential to reduce our dependence on oil. The burning of hydrogen does not generate air pollution or even greenhouse gases and if hydrogen can be procured safely and economically, it could be used to fuel combustion engines of spacecraft, airplanes and vehicles. The phenomenon of superconductivity was discovered more than 100 years ago. Superconductors are materials that can conduct electricity with practically no resistance when cooled to extremely low temperatures, ranging from near absolute zero (-273°C) to liquid nitrogen temperatures (-196°C). In the 1960s, the discovery of NbTi superconductor and Josephson junction provided the first material for the practical manufacture of superconducting wire and a variety of unique electronic devices. Despite the enormous success of these new materials, the real-world application of superconductors has been restricted by the requirement for cooling to very low temperatures using expensive liquid helium. In the late 1980s there were discovered new materials superconducted at temperatures high enough to be cooled by a common industrial refrigerant – liquid nitrogen (-196 C°). Since, scientists are searching for new materials that are superconductors at higher temperatures and can be mass produced. In 2011 an international group of scientists from the U.S. and Europe, has created first computer-designed superconductor. A new iron tetraboride superconductor was firstly predicted from advanced electronic structure computations and then it was synthesized. Until now, all superconducting materials have been discovered experimentally and oftentimes accidentally. So that’s why this breakthrough opens new pathways to predict and design new superconducting materials. Superconductors can bring tremendous changes to the entire energy infrastructure. Superconducting wires and tapes can carry 100 to 200 times more electric current than conventional wires. Successful development of higher-performance and lower-cost superconductors can increase power transmission capability and grid reliability, reduce transmission losses and cost, enable effective incorporation of renewable energy and emissions reductions. Superconductors can also increase efficiency and performance of practically all electrical equipment and devices. Living organisms have been making exquisite inorganic materials for over 500 million years. From the scientific point of view, these materials are structured at nanoscale and have a DNA sequence that codes for a protein sequence that makes them able to build and replicate different solid structures. (For example, an abalone makes it shell by using the proteins which are very negatively charged and can pull calcium out of the sea, put down a layer of calcium and then carbonate, calcium and carbonate and so on. The abalone has the chemical sequences of amino acids, which says, “This is how to build the structure. Here’s the DNA sequence, here’s the protein sequence in order to do it). Inspired by this idea the group of researchers from MIT have decided to take different elements from the periodic table, find their corresponding DNA sequence and then code them for corresponding protein sequences to build structures with the desired properties. The scientists used a simple benign virus that has just a few genes that code for specific proteins. Viruses basically need a host so they can use its molecular machinery to make copies of themselves. When a virus attacks a cell, it injects its genetic material inside. As the result the cell instead of doing its normal functions, starts to make copies of the virus. By inserting a specific gene into the virus, the scientists spurred the virus to produce a protein coat that binds with compounds such as cobalt oxides and iron phosphates. The scientists could then grow nanowires with these compounds, which they used in an electrode for a prototype lithium-ion bio-battery. In 2009 the researches constructed a lithium-ion battery, similar to those used in millions of devices, but one which uses genetically engineered viruses to create the negatively charged anode and positively charged cathode. The researches improved the power performance of electrodes made from iron phosphate nanowires by finding a genetic sequence for a virus that favorably binds to carbon nanotubes, which are highly conducting. 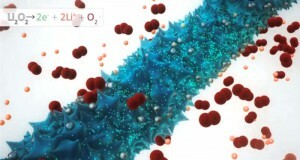 This new material can replace the costly, toxic electrodes currently used in lithium-ion batteries. Today, the researches continue to experiment with different viruses and force them to interact with various compounds, in order to create new electronic materials or new interesting catalysts. The potential of this breakthrough is immense. We could program materials to build exquisite structures, at room temperature and room pressure, using nontoxic chemicals and adding no toxic materials back to the environment. Some of the future applications related to cleantech could include cheaper and more efficient conductive materials, solar panels, energy storage and chemical catalysts. 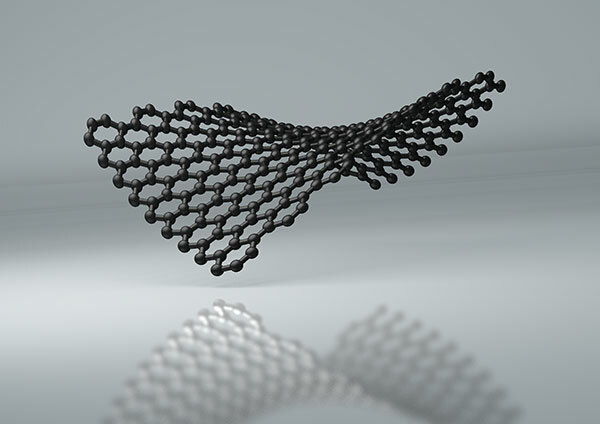 In simple terms, graphene, is a thin layer of pure carbon. 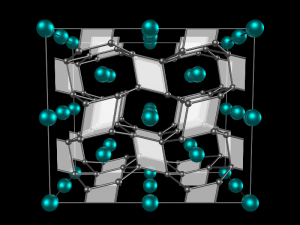 It is a one-atom thick packed layer of carbon atoms that are bonded together in a hexagonal honeycomb lattice. It has been subject to a scientific explosion since the groundbreaking experiments on the novel material less than ten years ago, recognized by the Nobel Prize in Physics in 2010 to Professor Andre Geim and Professor Konstantin Novoselov, from The University of Manchester. The special atomic arrangement gives graphene unique optical, thermal, mechanical and electrical properties. Graphene is the world’s strongest material. It is about 200 times stronger than steel. At the same time it is thinnest and lightest material ever obtained. It is also very stretchable – you can stretch graphene up to 20% of its initial length. Graphene is a great conductor: electrons are able to flow through graphene more easily than through even copper. It is also a perfect thermal conductor (> 5000 W/m/K). 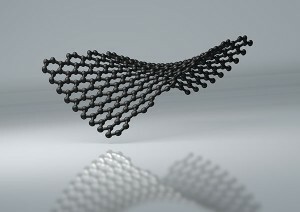 Despite of being the thinnest material ever made, graphene is visible to the naked eye. Due to unique electronic properties, graphene absorbs a high 2.3% of light that passes through it, which is enough to see it in the air. With all this carbon is the fourth most abundant element in the universe. Ever since it was discovered, graphene has been hailed as a natural wonder of the materials world, destined to transform a number of industries, including clean technologies. Graphene can increase both energy capacity and charge rate in rechargeable batteries; it can dramatically improve high-performance superconductors for energy storage; graphene may lead to a promising approach for making solar cells that are inexpensive, lightweight and flexible; multifunctional graphene mats are promising substrates for catalytic systems and fuel cells; graphene has also a promising application in low cost water filtration and desalination. Moreover, graphene can be used in combination with other crystals for an almost limitless number of applications. For example, if we take the compound Magnesium Diboride (MgB2), which is known as being a relatively efficient superconductor and intersperse its alternating boron and magnesium atomic layers with individual layers of graphene, it improves its efficiency as a superconductor. To date, it is difficult to make predictions, either about specific applications of the above scientific breakthroughs or specific sizes of their impact over next decades. At the same time, we can see that new materials and chemical processes are becoming the agents of change in energy sector. The energy systems of the future, whether they tap sunlight, store electricity, or make fuel from splitting water or reducing carbon dioxide, will revolve around materials and chemical changes that convert energy from one form to another. Another important observation that we can make is that science is now entering a new age based on the control of matter and energy at the electronic, atomic and molecular levels. Moving from observational science to control science, gives us unprecedented opportunity to build new materials that are not formed in nature. We can now design and synthesize new materials with amazing physical and chemical properties that can bring disruptive changes to different industries, including cleantech and sustainable energy.